As girls, we’re all searching for the exact product to harmonize our skin tone. Ladies, in case you are one of those people who do their investigation before purchasing a product, you'd appreciate what I mean when I say that it takes hours, sometimes, days before settling on an official conclusion on whether to buy a particular product or not. It is indeed a tough work. Besides, your skin isn't going to fit with some other palette, right? After buying the said product, it would be quite disappointing seeing the product melt away from your face during the day. Investing resources into a decent face powder can keep your perfect work of art guaranteed throughout the day. To achieve this, we have spared you some trouble (We would like to believe so) and organized a summary of astounding face powders to match your taste. Sit back and enjoy. Derma blend loose setting powder is a top-class powder that gives you a smooth and ultra-durable result when applied to the face. 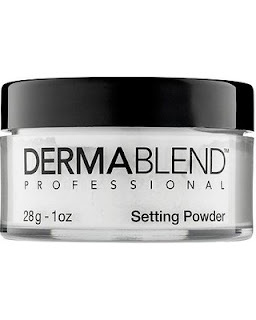 The remarkable thing about derma blend is: it comes in three different shades to match your exact skin tone. Equipped with a unique feature that keeps your makeup in check for close to sixteen hours, you barely need to reapply again and again. Derma blend is free from allergic reactions. It is also non-acnegenic, you have nothing to worry about. A confident choice to make in the worlds of setting powders. Easy to apply, and ensures smudge-resistance, you'll be noticed at that party for your awesome looks. Are you playing the lead role in that On-stage horror play? Are you also looking for a classy setting powder to wear during your stage performance? Say no more. We got the perfect product for you. 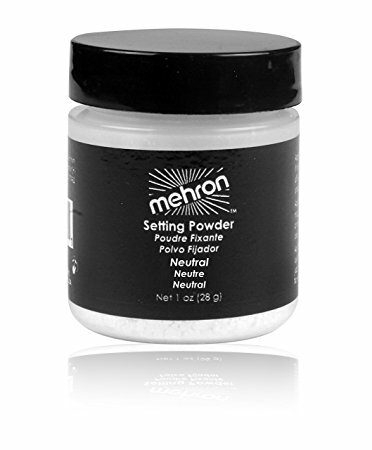 Mehron Makeup powder is no regular setting powder. It is specifically designed for Stage performances, Halloween parties, Movie sets and so on. This excellent powder is clump free, moisture absorbent, and equipped with antiperspirant, easy to say; you won't sweat too much after use. With a long-lasting effect, no need taking excuses to reapply in the bathroom, right? You can’t expect less from a company that has been trending for over 90 years. (Yes, I mean it). Order yours today and keep your audience’s attention fixed on you. Lol. If you haven't heard or used Laura Mercier loose setting powder before, then you need to step your game up. 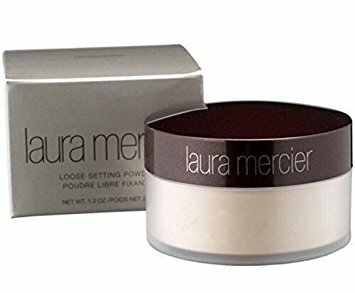 Laura Mercier loose setting powder is like the Dwayne Johnson of Makeup powders. With numerous awards and counting, it is definitely your best choice. It is amazingly soft and pretty light on the skin. Unlike other low-grade setting powders, Laura Mercier's doesn't add weight or texture to your makeup. Whatever your skin tone, there's room for you with this setting powder. Blur imperfections today. Order yours.